During the IFA 2017 technology show in Berlin, Acer revealed a huge load of new devices arriving this year and into the first quarter of 2018. 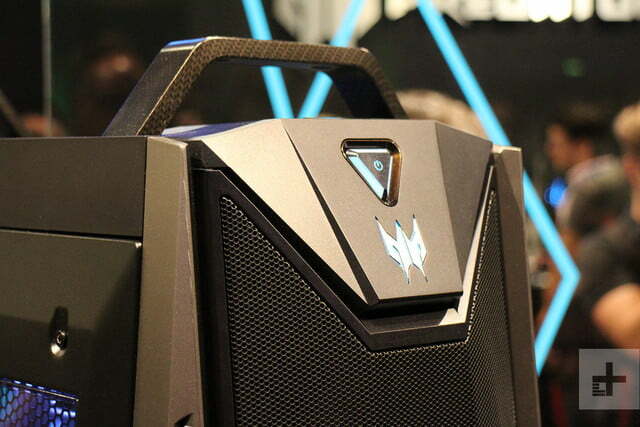 Several of these fell into the Acer Predator umbrella for PC gamers, including a headset, a mouse, and curved display. 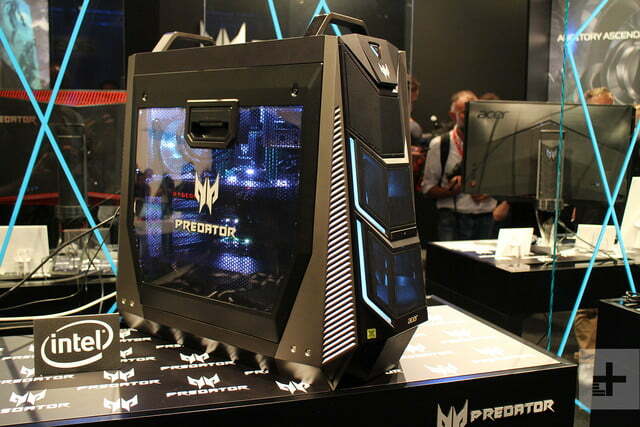 But the show-stopped was Acer’s new Predator Orion 9000 desktop capable of packing Intel’s $2,000 18-core processor, up to 128GB of system memory, and up to four AMD Radeon RX Vega 64 cards. Seriously, we’re a little scared to see its maxed-out price tag. 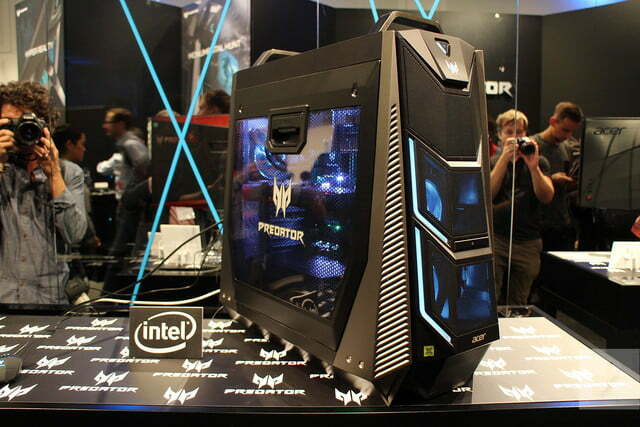 First, we have Acer’s monster desktop. According to the company, it supports Intel-based processors up to the massive 18-core i9-7980XE “X-Series” chip, which sells for $2,000 on its own. Other models will offer more mundane Core i5, i7, and i9 flavors. Acer plans a variety of configurations, so that means the hardware specifications shown below are more of a generalized list that encompasses all those possible configurations, including one that has four AMD Radeon RX Vega 64 cards in CrossFire mode, and one with two Nvidia GeForce GTX 1080 Ti cards in SLI mode. You’ll also see up to eight slots for memory, and given that Acer will sell a model with Intel’s $2,000 processor, you’ll see up to 128GB of memory available, too. To keep the components chilled, Acer is relying on liquid cooling for the processor (closed loop). It’s also using what Acer calls IceTunnel 2.0, which divides the interior into several “thermal zones” to manage airflow more efficiently. Each zone includes individual airflow tunnels to eject the heat, and are complemented by “huge” metal mesh panels mounted on the front, and on the top. 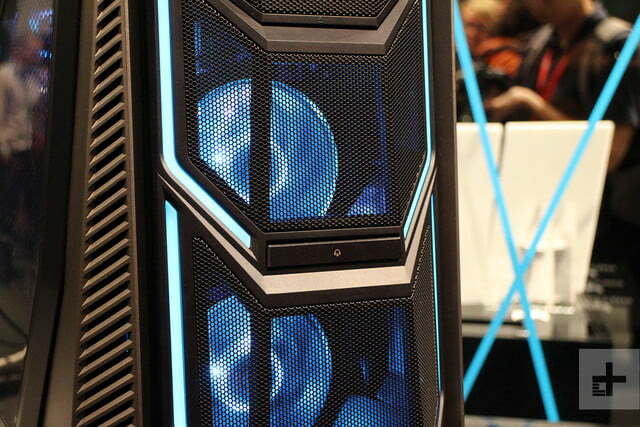 The case supports up to five 120mm fans, two of which are installed on the front. The other three reside at the top, and on the back. “Part of the airflow is redirected towards the back of the motherboard tray to cool the storage devices. The graphic cards feature blower-style fans to drive the heat out from the back, while the PSU is self-contained to avoid thermal interference,” Acer says.